With the most widest ouput in its class, the Power MIG 180C is ideal for the home handyman right through to the small fabrication and body repair shop. The continuous voltage control makes tuning in the perfect setting a breeze while Lincoln Electric's Diamond Core Technology makes for easy starts and a smooth, stable arc that reduces spatter and clean-up time. 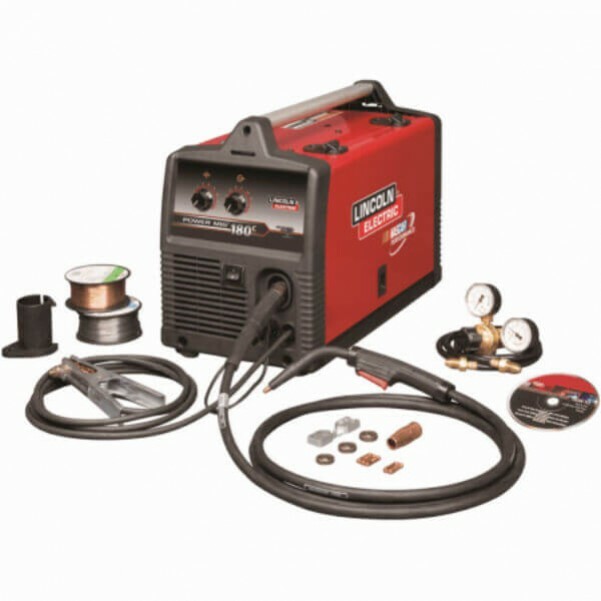 The Power MIG 180C makes it easy to get great results MIG welding steel, stainless or aluminum whether you are a novice or experienced welder. With included welding gun, welding accessories and consumables, this welding equipment gets you welding fast.